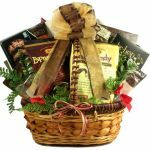 It doesn’t matter if that special person likes coffee, tea or chocolate we have a gift basket for everyone. Warm up someone’s heart with a coffee or tea gift basket. 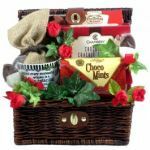 Or, satisfy that loved one’s sweet tooth with one of our chocolate gift baskets. 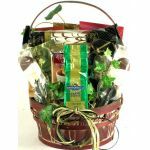 We have a variety of baskets that will show anyone you care and are thinking about them. Delicious assortment of Ghirardelli square Chocolates. A gift everyone can enjoy! Comes in a red or gold tin, depending on availability.